Google Maps is perhaps the best online mapping programs available for the public, not only it is rich in information, the data provided are more up to date with good driving directions, however, accuracy of data can be somewhat misleading since anyone can edit the map and submit the information. Sometimes, the satellite map is outdated, and the other thing I noticed is the lack of door numbers for the rows of houses, which can be easily found with Here maps. There are pro and cons with various maps, if you can’t find the information on Google Maps, always try the alternatives. Works great on Android 8.0 Oreo / Android 9.0 [ Popsicle, Pancakes or Pie ] smartphones such as Samsung Galaxy, Huawei Mate, Oppo, Vivo, XiaoMi, Nokia, and also Apple’s iOS iPhone. 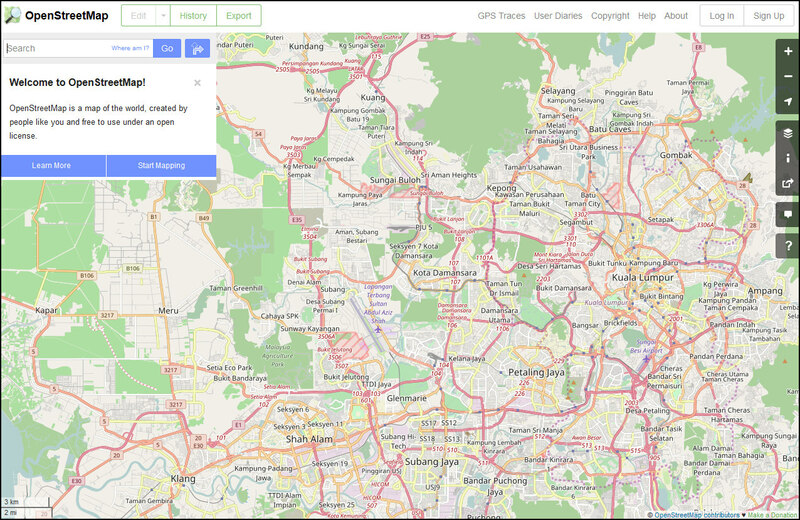 OpenStreetMap is built by a community of mappers that contribute and maintain data about roads, trails, cafés, railway stations, and much more, all over the world. 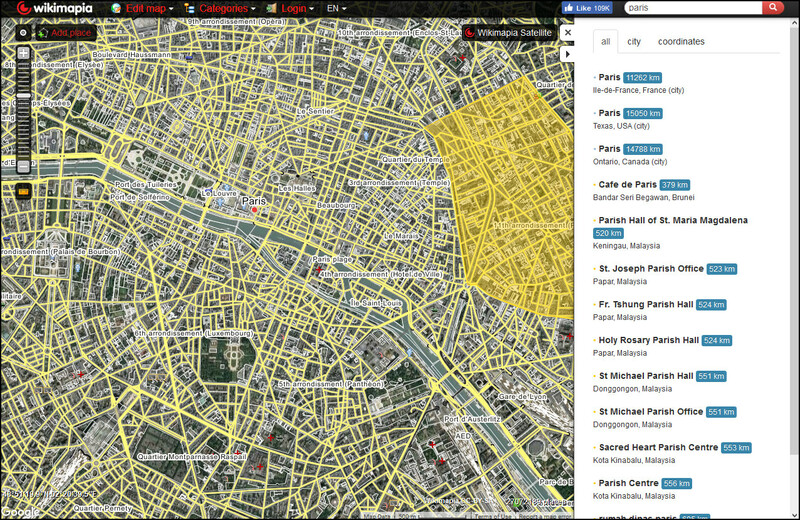 The project aimed squarely at creating and providing free geographic data such as street maps to anyone who wants them. It is a free editable map of the whole world. It is made by people like you. 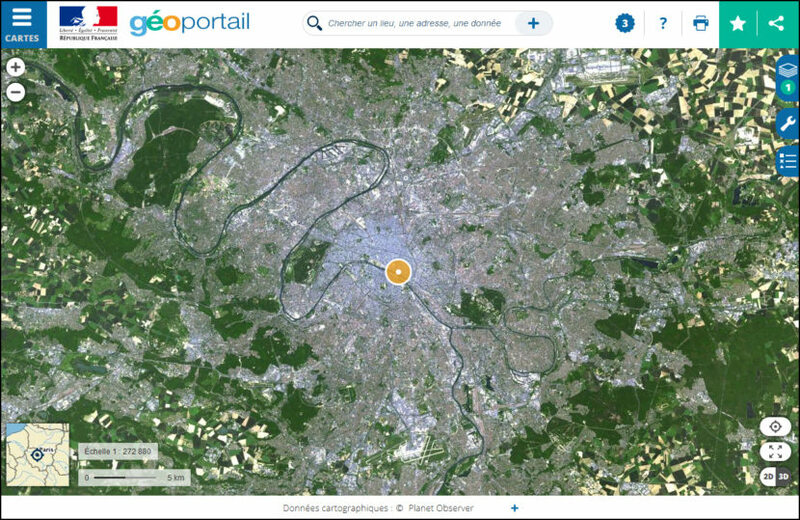 It allows you to view, edit and use geographical data in a collaborative way from anywhere on Earth. Yandex is a Russian multinational technology company specializing in Internet-related services and products. Yandex.Maps gives you access to maps of over 1800 cities and towns right in your pocket. Find addresses and companies. Plan your journeys in a car or on public transport taking current traffic conditions into account. Keep tabs on what’s happening on the road as you travel – view traffic jams, road closures or accidents on your way. 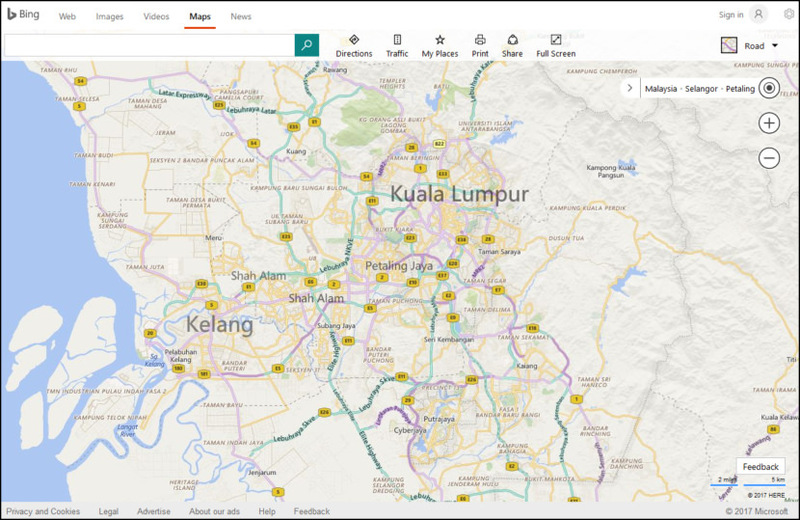 Bing Maps (previously Live Search Maps, Windows Live Maps and Windows Live Local) is a web mapping service provided as a part of Microsoft Bing suite of search engines and powered by the Bing Maps for Enterprise framework. It uses the same data after Microsoft bought Here from Nokia. 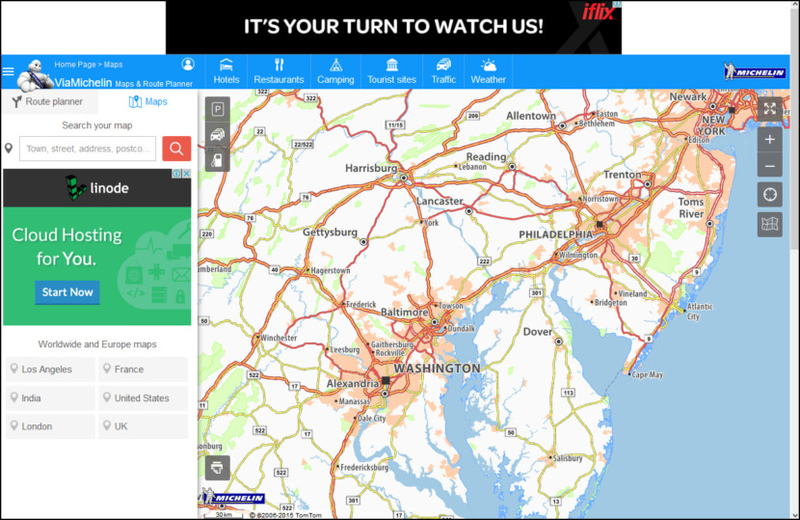 Bing maps frequently update and expand the geographic areas covered by their imagery, with new updates being released on roughly a monthly basis. 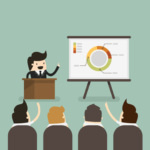 Each imagery release typically contains more than 10TB of imagery. 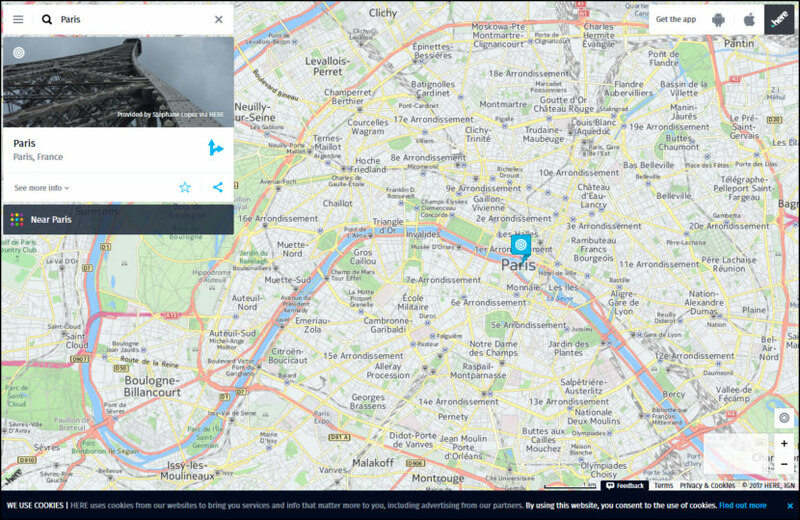 A wholly owned subsidiary of the Michelin Group, ViaMichelin designs, develops and markets digital travel assistance products and services for road users in Europe. Launched in 2001 and drawing upon a century of Michelin experience in the publication of maps and guides, ViaMichelin provides services designed for both the general public and for business. The ViaMichelin website provides mapping coverage for 7 million kilometers of roads and streets across more than 42 European countries. The website is available in many languages, and its on-line hotel reservations service features more than 60,000 hotels across Europe. Visitors to the site gain access to an exclusive database of Michelin Guide content and listings including 18,000 tourist site recommendations and ratings for 62,000 hotels and restaurants, as well as additional travel services including traffic and weather updates, on-line car-hire booking and a database of speed camera locations, updated regularly and available to download free of charge. MapQuest (stylized as mapquest) is an American free online web mapping service owned by AOL. Currently, MapQuest uses some of TomTom’s services for its mapping system and also data from OpenStreetMaps. MapQuest provides some extent of street-level detail and/or driving directions for a variety of countries. 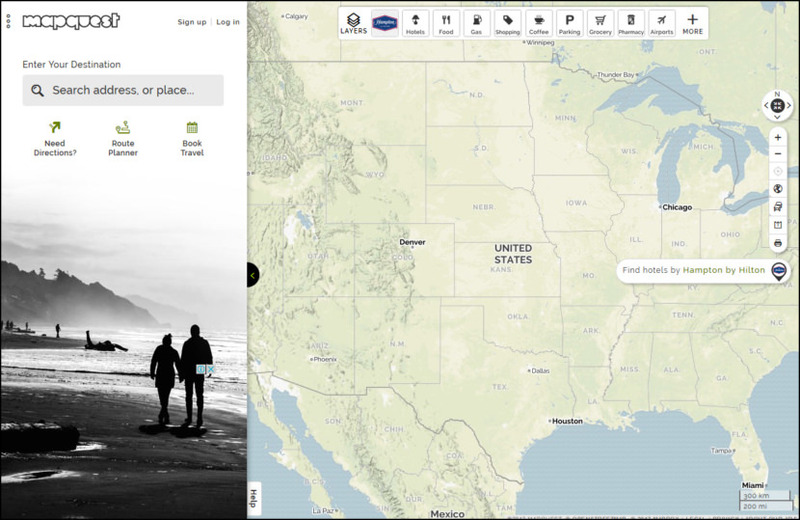 Users can check if their country is available via a pull down menu on the MapQuest home page. 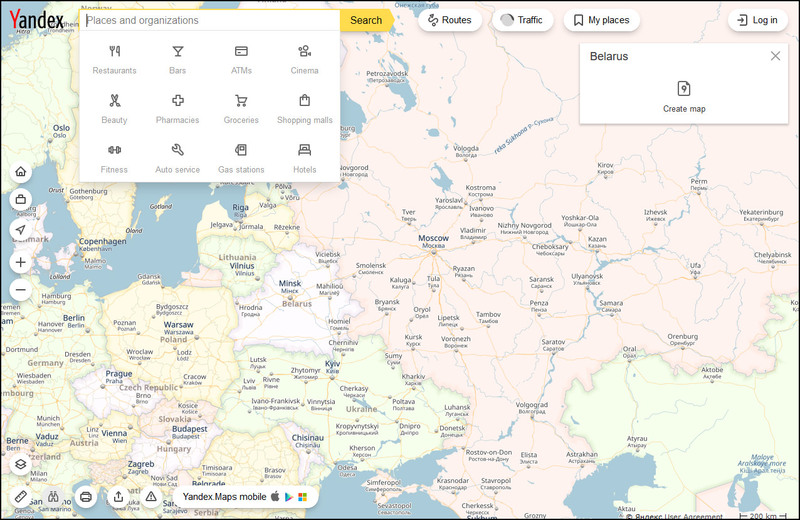 Wikimapia is a privately owned open-content collaborative mapping project, that utilizes an interactive “clickable” web map with a geographically-referenced wiki system, with the aim to mark and describe all geographical objects in the world. I find their service is geared towards property investor as the detailed grid shows what is currently being develop and future development. Formerly known as Nokia Maps, HERE is a company which provides mapping data and related services to individuals and companies. It is owned by a consortium of German automotive companies (namely Audi, BMW, and Daimler). What makes Here maps unique is the availability of door numbers on the map, making it easier to locate a house as oppose to Google Maps, where you get to see the street address and nothing more beyond that. HERE WeGo has offline maps of the United States, the United Kingdom, Germany, France, Spain, Italy, Canada, Australia and more than 100 other countries around the world. Download the map you want and you’re set! 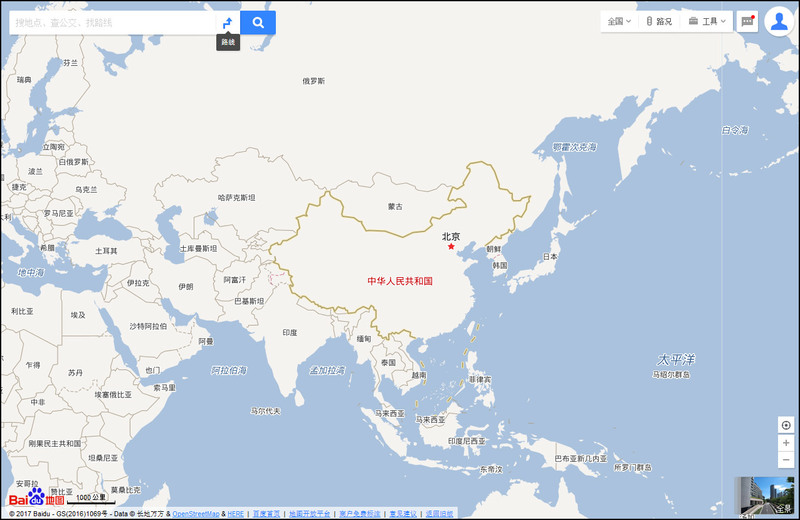 Baidu Maps is available only in the Chinese language, it offered maps only of mainland China, Hong Kong, Macau and Taiwan, the rest of the world appearing unexplored or with minimal information. 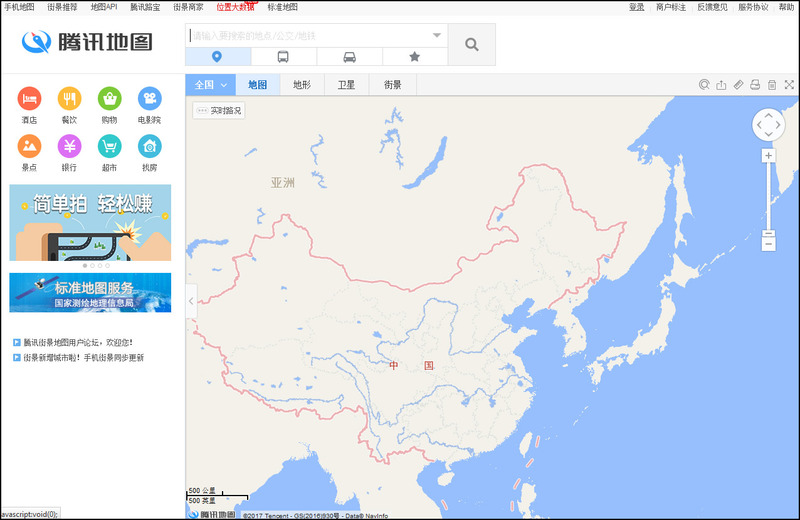 Due to the great firewall of China, the citizens does not really have full access to other maps, thus making the locally made maps more detailed and accurate with the latest information. Owned by Tencent, the maker of WeChat that is the world’s first SuperApp where one can do everything with just a single app, from gaming to mobile payment, from booking taxis to social media. Tencent Maps (formerly Soso Map Service) is a desktop and web mapping service application and technology provided by Tencent, offering satellite imagery, street maps, street view and historical view perspectives, as well as functions such as a route planner for traveling by foot, car, or with public transportation. Android and iOS versions are available. 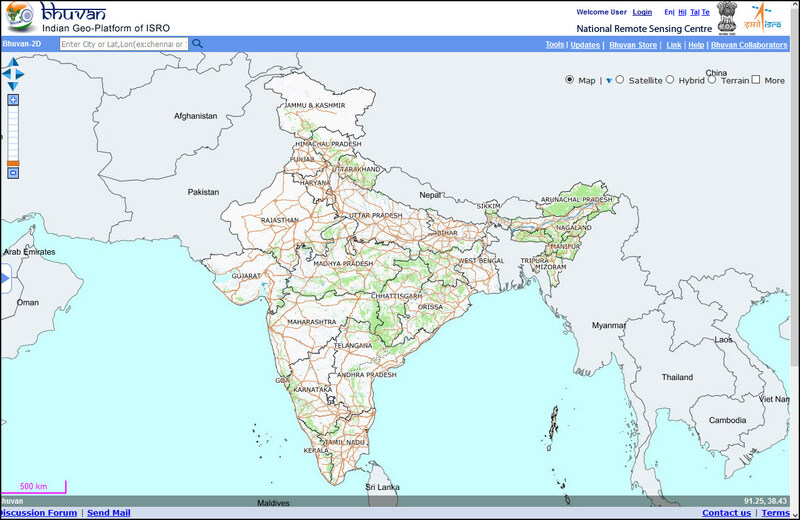 A free map service by the Indian Government via Geoportal of Indian Space Research Organisation. Apart from visualization Bhuvan provides timely disaster support services (domestic and international), free satellite data and a products download facility, and rich thematic datasets. Bhuvan is using a crowdsourcing approach to enrich its maps and collect point of interest data. It also acts as a platform for hosting government data (example – Karnataka Forest Department datasets). A government run public service mapping, it covers the whole French territory with detailed information and up-to-date data. Though the French service has sometimes been described as a competitor or rival to Google Maps, it is different from Google’s mapping service (launched one year before in February 2005), since they have different objectives. Geoportail makes some unusual cartographic sources available, such as the renowned 18th-century Cassini maps and the Napoléonic-period Minutes État-Major, in addition to IGN road maps, administrative maps, topographic maps, cadastral and building surveys, public service utility maps, transportation maps, hydrographic maps, atmospheric and weather maps, geological maps, land use maps, maps of cultural sites, and much more. Does anyone know of a mapping program that will route a series of “stops”…..similar to MSN Streets and Trips and Delorme’s product. Currently, I have 600 houses to inspect in a 50 miles square area. Putting them in some sane order would be great. Currently, I download the houses to Streets and Trips and then have to look up the ones not found on Google and then go to my old computer and attempt to find the general location of the house and put a marker on it – incorporating it into my route. Very time consuming.